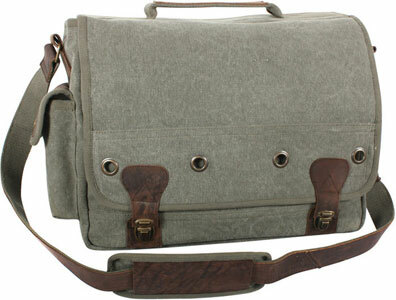 Rothco's Trailblazer Laptop Bag is constructed with heavyweight washed canvas with leather accents. The front flap features 4 brass grommet accents with 2 antique brass closures. 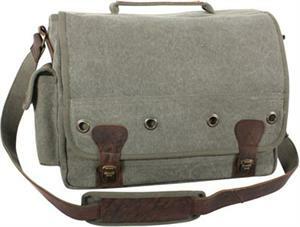 The bag has a large main compartment with an inside zippered pouch, padded sleeve with a strap for a laptop. Additionally the bag features 2 front pockets and 1 side snap pocket which are great for storing pens, pencils and other supplies.